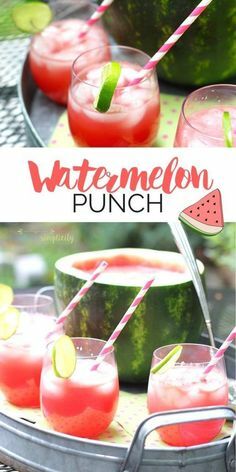 This Watermelon Punch recipe is a refreshing and delicious addition su - Cats and Canines Coffee Co. This Watermelon Punch recipe is a refreshing and delicious addition summer BBQs and parties! This Watermelon Punch recipe is a refreshing and delicious addition summer BBQs and parties! Nothing goes to waste because you turn the watermelon into a rustic serving bowl!